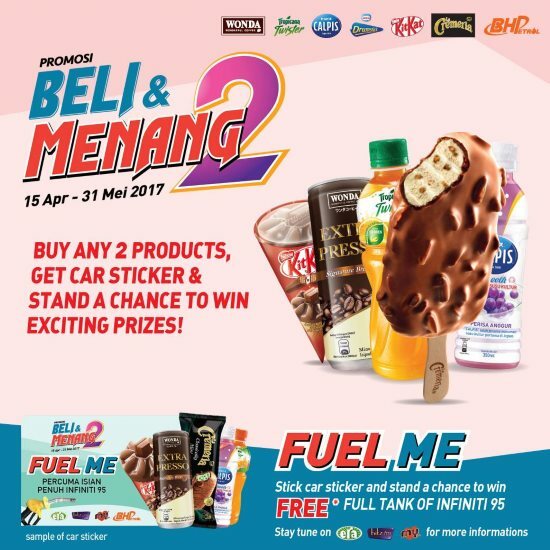 Home » BHPetrol » camera » Food n Beverage » petrol » purchase » spend » BHPetrol OrangeMania Beli & Menang 2 Contest: Win Fujifilm X-A10 Camera, JBL Pulse, Drones, Car Camera Recorder, full tank of Infiniti 95 petrol! 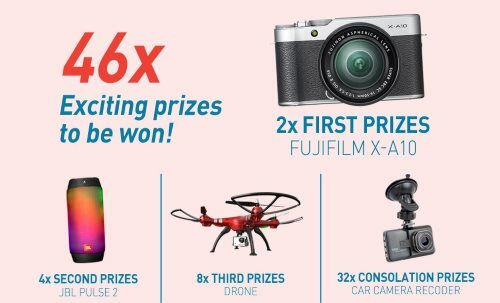 BHPetrol OrangeMania Beli & Menang 2 Contest: Win Fujifilm X-A10 Camera, JBL Pulse, Drones, Car Camera Recorder, full tank of Infiniti 95 petrol! Buy selected participating products from BHPetromart. Scan the QR Code or click here for digital contest form. Snap the photo of receipt with mobile phone. Fill in form & stand a chance to win prize. If you buy any 2 participating products, get a car sticker, listen to MY FM, Hitz FM & Era FM (15th May – 26th May 2017) for a chance to win FREE* full tank of Infiniti 95. Visit OrangeMania Beli & Menang 2 Contest page for more details.